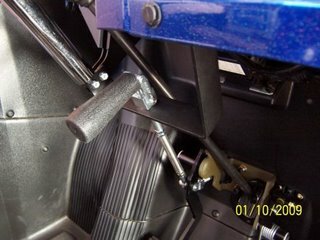 Now you can park on a slope and not worry about damaging the shift linkage or transmission when trying to get out of park. The Parking Brake is quick and easy to set, adding convenience and safety when parking on an incline or slope. 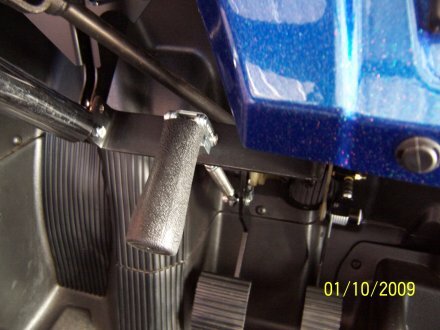 The system is easily adjustable to compensate for the normal brake wear of the RZR. When the Parking Brake is set the shift lever will glide effortlessly out of the park gear and you’re ready to go. You’re Polaris RZR will become even more fun-to-run! The Brake system comes with everything you need to easily install in less than ten minutes, with step-by-step instructions. With the system’s unique engineering it will not effect the normal operation of the RZR’s brakes and it is made to last a lifetime.